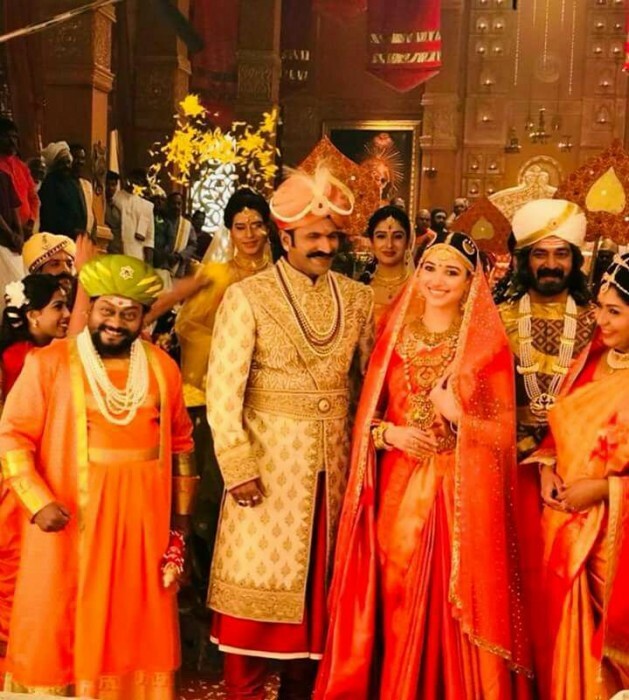 Tamannaah and Puneeth make quite a classy pair in this latest ad shoot. It is no secret that the vivacious Tamannaah Bhatia is one of the most talented and popular stars in the Southern film industry. During her reasonably successful career, the lovely lady has won the love of moviegoers courtesy her charming personality, top-notch style game, sincere performances and of course warm nature. Furthermore, over the years, she has worked with some of the industry’s biggest names—right from Jr NTR to Nagarjuna—and proved that she is an A-lister in the truest sense. Now, the ‘Milky Beauty’ is in the news again. As it so happens, she recently shot an ad for a noted brand with Kannada star Puneeth Rajkumar and gave her fans a reason to rejoice. In the ad, she can be seen in a regal and classy avatar that she carries off like a boss. Her adorable smile gels well with the look and adds a new dimension to it. Her chemistry with the ‘Powerstar’ too is quite awesome. These two will surely look good together on the big screen. At present, Tamannaah is shooting for next big release Queen Once Again. The film is a remake of the hit Bollywood film Queen and is a crucial project for her. In it, she will be essaying the role played by Kangana Ranaut in the original version. Sometime ago, she had said that the remake will do justice the high standards set by the original. “It’s an exciting project and I love doing roles that talk about women empowerment. I’m confident we can recreate the magic of the original. At the same time, not make our film look like a frame-to-frame remake. We’ll adapt it to suit Telugu sensibilities. I wasn’t even sure if it was going to be remade. What makes ‘Queen’ special is that it’s one of those rare women-centric films which succeeded in reaching out to everybody, across all sections of the audience,” Tamannaah had added. As far as Puneeth Is concerned, he currently has Oradanga in his kitty.